Manufactured as standard in Black Polypropylene (B) and Grey Flame Retardant Polypropylene (FR). 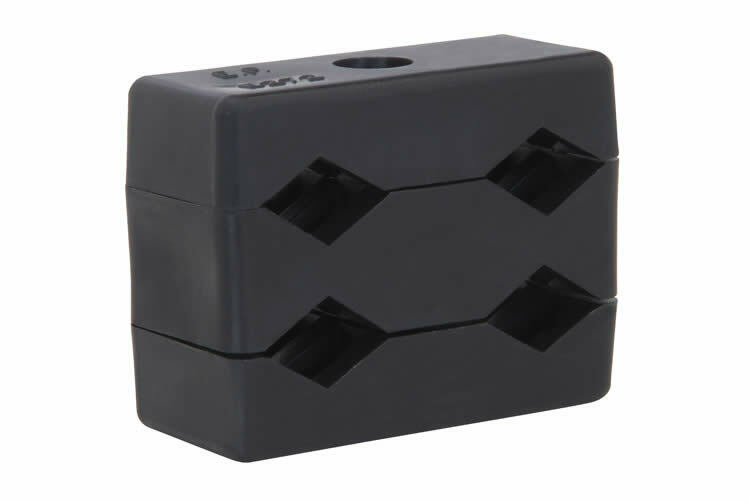 Used for mounting power cables to poles and flat surfaces. A spacer is available to facilitate the stacking of the cleat.